Last week, on March 28, 2019, took placed in Zaragoza a MedAID Seminar of the Spanish Working Group of the Work-package 4 on Health management, diseases and animal welfare. Forty experts from all the steps of the aquaculture value chain working on fish diseases diagnosis, management and prevention met to analyze the current situation the regarding prevalence of main diseases, about biosecurity measures and the need for a further communication and coordination among involved experts, companies and institutions. The authors of this post and MedAID partners in WP6 “Improving business performance and development of strategic marketing plans” will be available all this week (4 to 8 March 2019) to answer questions, clarify doubts and reply to any comments you may have. This brief text aims to highlight some of the most common economic indicators used to assess the economic performance of aquaculture production, both from the point of view of the industry as a whole, and from the point of view of aquaculture companies*. In economics, there is no consensus on which indicator would best determine the economic performance of a sector or company. Indeed, there are used several indicators depending on what is the focus of interest (e.g. the society or the companies) and data availability. Different indicators are usually used or combined depending on the object of analysis. The same profitability indicator used to analyse the economic performance of the investments made, is not suitable to study the economic performance for the owners of the company. 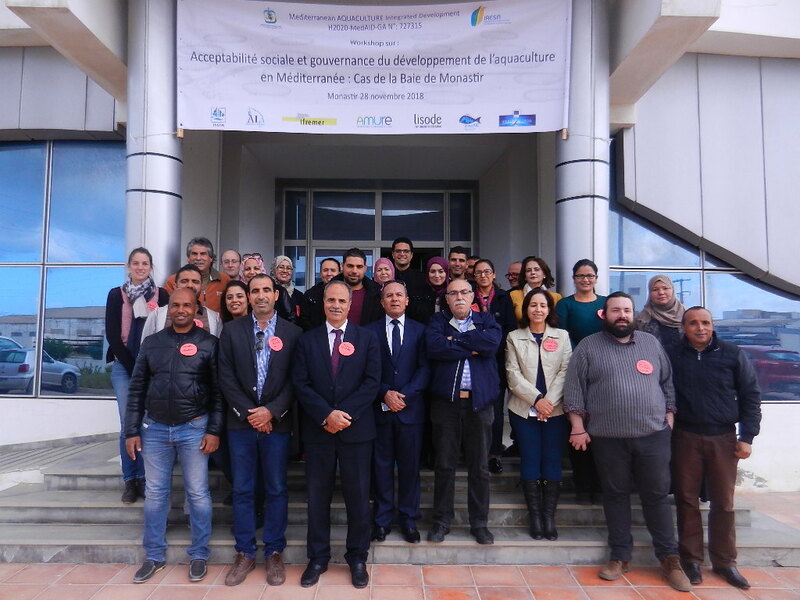 MedAID organizes the 1st MedAID Regional Workshop on Holistic Sustainability Assessment of Mediterranean Aquaculture. The workshop will be held at the IRTA Centre Sant Carles de la Ràpita on 24 January. The objectives of this MedAID regional workshop are i) to present the analysis of the survey conducted to assess the sustainability of the Mediterranean marine fish farming sector (Deliverable D1.2 – Assessment of Mediterranean Aquaculture Sustainability); and ii) to discuss the results obtained with representatives of the surveyed companies, other aquaculture producers and other key players of the sector in order to obtain their inputs and gain a broader vision from the whole value chain of Mediterranean aquaculture. The workshop will have 70 participants from 14 countries that are involved in the whole value chain – company managers, associations, researchers, aquaculture farm workers, etc. All updated information on the workshop is available on the MedAID web page and twitter account. Aquaculture is a source of food, critical and essential to feed humanity and to ensure the world’s food security, and, also is a business that generates economic interest. This is clearly specified in the FAO’s 2016 State of Fisheries and Aquaculture report, which states that “aquaculture will become the main driver of change in the fisheries and aquaculture sector“. Aquaculture is the main productive industrial activity that will play a crucial role in providing solutions to the millennium challenges. Overall, this is the main idea that exists under the MedAID EU Horizon 2020 project. On 29th and 30th November the 13th International aquaculture conference entitled “Co-operation of Production and Science – A Foundation for Successful, Sustainable Development of Aquaculture” was held in Vukovar, Croatia. 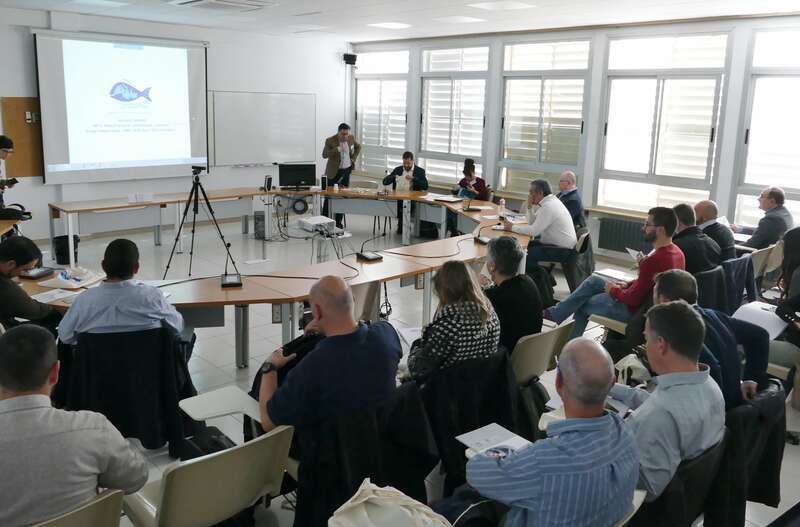 The meeting gathered most of the Croatian scientists (100) dealing with different aspect of aquaculture (molluscs, freshwater and marine fish and tuna), representative of the governmental bodies, nature protection institutions and representatives of the farming sector. 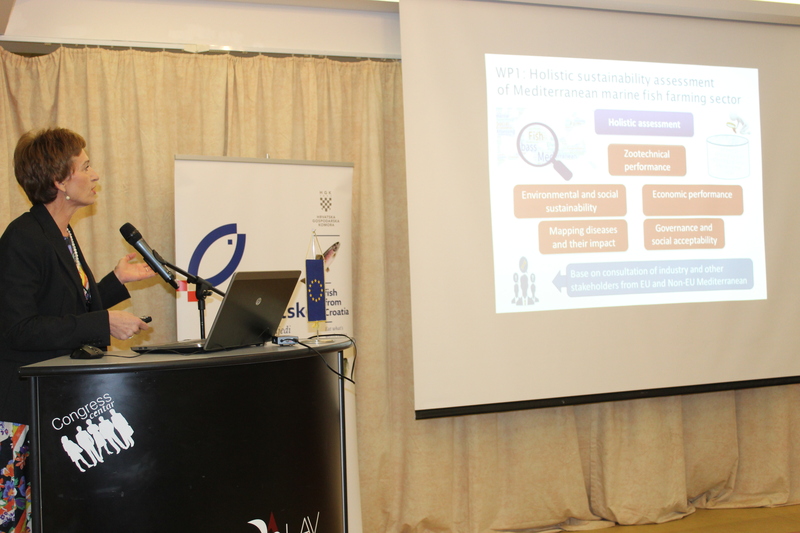 There were more than 30 scientific presentation and among them the MedAid project was presented and the participation of Croatian partners and stakeholders highlighted.